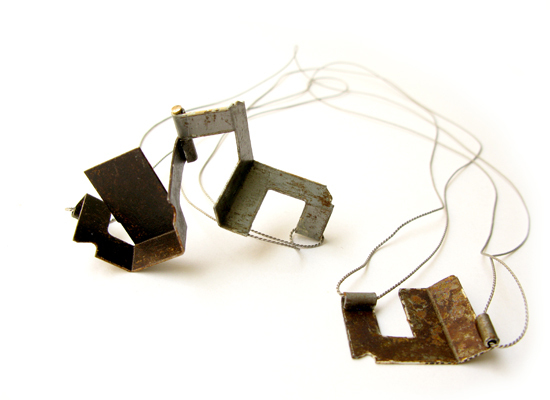 This work has been inspired by the city of Barcelona and the infrastructure designed by Ildefons Cerdà. 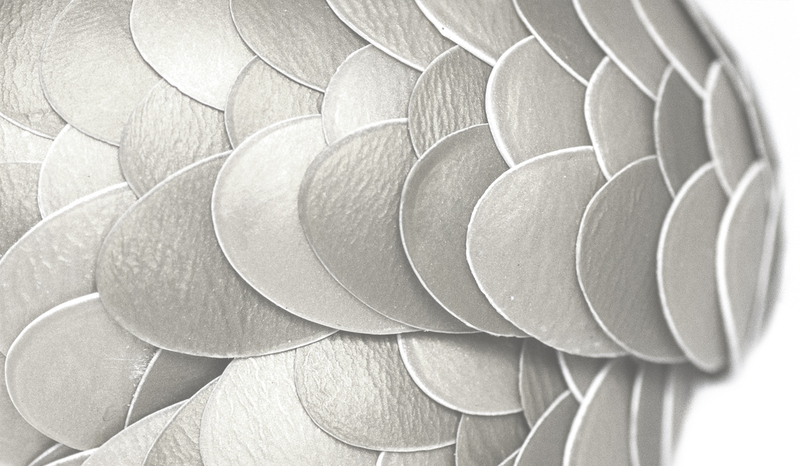 His straight lines and long wide avenues are characteristic for Barcelona and give the city an amazing light in spite of all the high buildings. 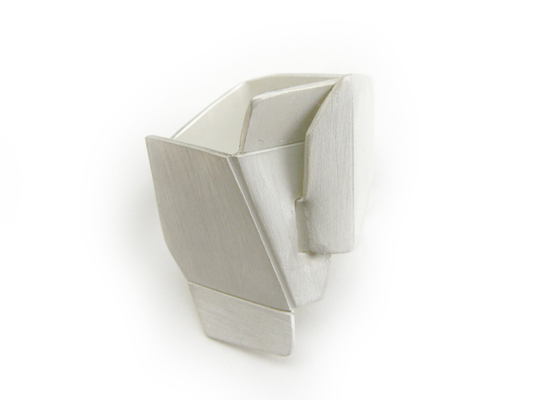 I have been repeating these lines, creating a rhythm and a pattern on the pieces. 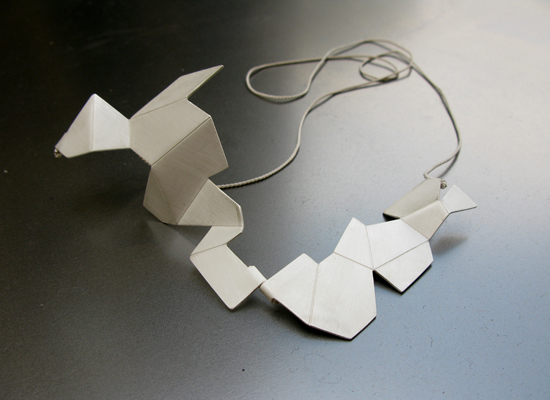 Cerdà, necklace, 2011, silver, pearl silk. 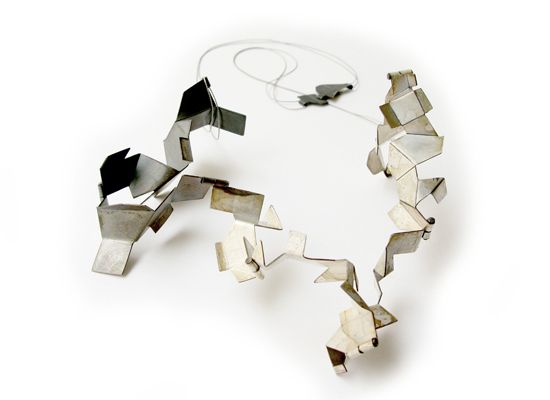 Cerdà, necklace, 2010, silver, pearl silk. 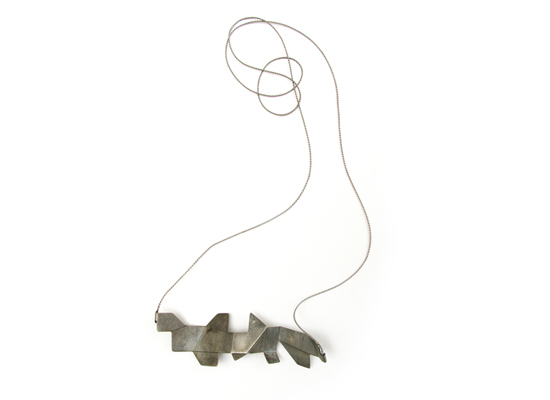 Cerdà, necklace, 2011, aluminum, steel wire. 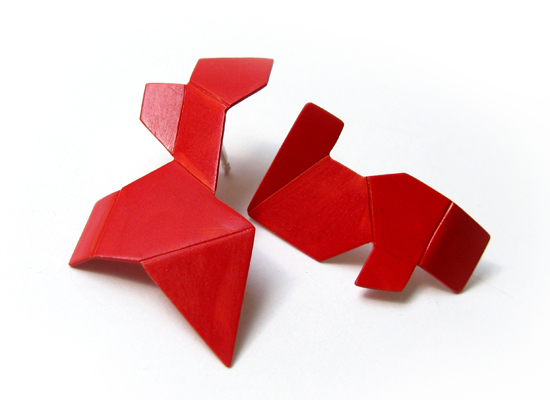 Cerdà, earrings, 2011, silver, lacquer. 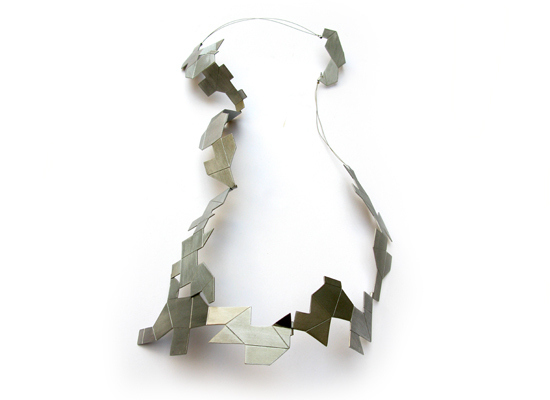 Mackingley, necklace, 2010, steel, gold, pearl silk. 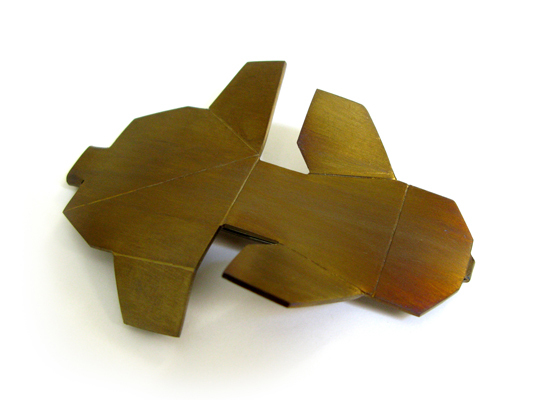 Cerdà, brooch, 2011, titanium, steel. 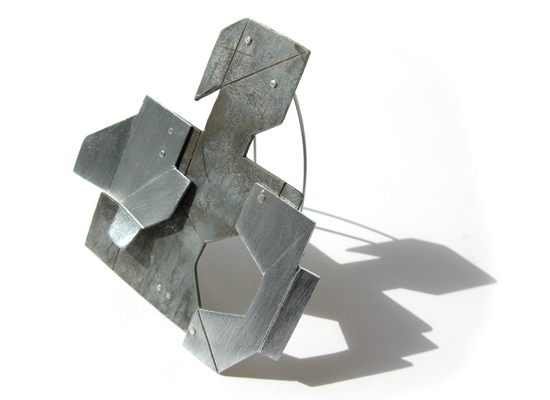 Barcelona, brooch, 2011, zinc, silver, steel.